Firstly, you need to work out how many people will be attending your event, conference, party or wedding. Where is your event being held? What sort of ground is it, is there adequate access? Is there a power supply? How much space do you have for your event? Do you need more than one marquee? 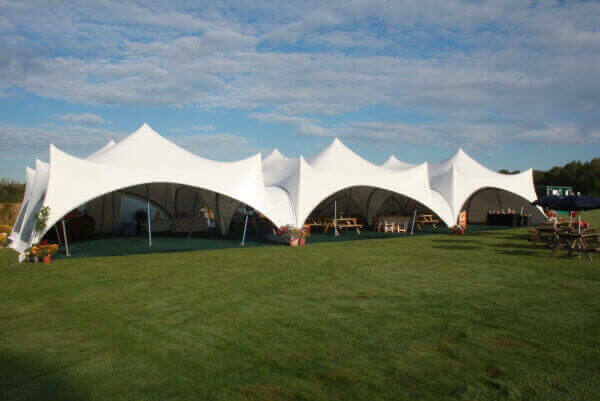 Which type of marquee do you like, is it a trapeze marquee or capri marquee? What layout would you like? Think about what accessories you need - flooring, tables, chairs, toilets, a bar, disco and lighting hire? Once you have worked out the above, contact us for your free quotation and we will put together a package for you. 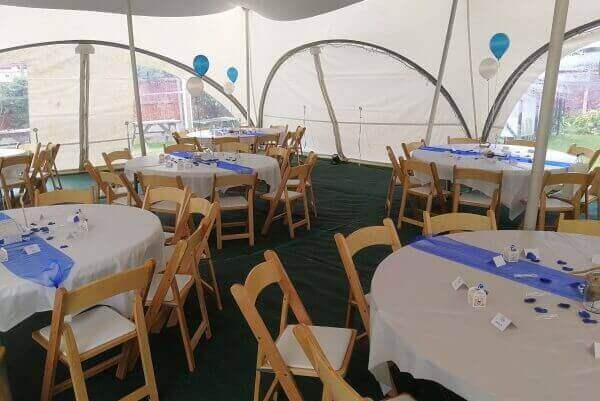 MD Marquees makes booking your marquee for your wedding or special event a breeze. We tailor make a package to suit your exact requirements, which is why we have no fixed prices on our website. You pay for only what you need, with no hidden costs or surprises on the day. 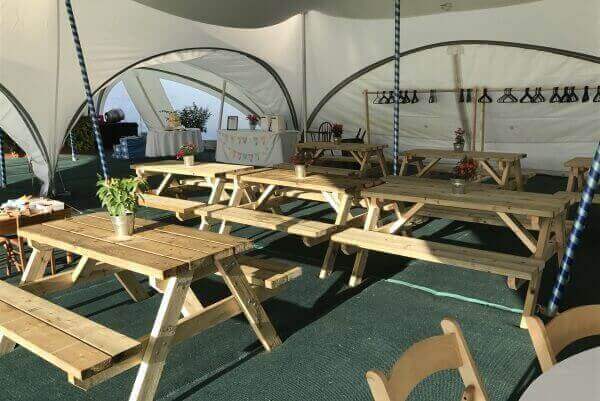 We aim to offer an excellent overall experience, with good customer service and great value for money marquee hire. You can call us, email us or visit us on Facebook and we will create you a tailor made package. Take a look at our accessories and ensure that you have everything you need. 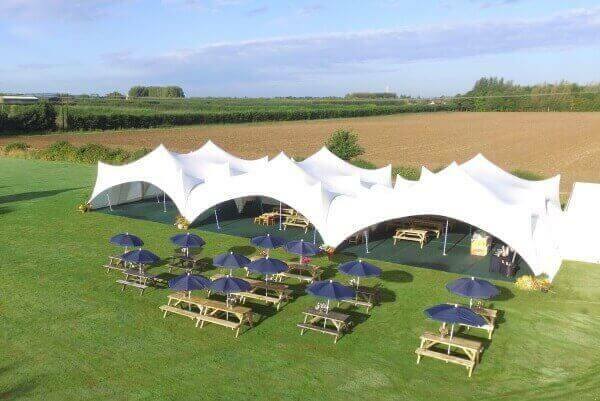 MD Marquees aims to take the stress and hassle out of organising your marquee hire for your wedding, garden party or event in Kent or East Sussex. We are the only company in Kent to offer the trapeze marquees and offer peace of mind as we have attended many successful events. Can your marquees be erected on concrete? Our marquees are designed to be used on grass only, and unfortunately we cannot put up a marquee on concrete or slabs. Will the marquee floor be completely level? Due to the nature of grass, it is not possible to get a 100% level floor. We recommend that the grass is cut prior to your event, to give you the best chance of an even floor. 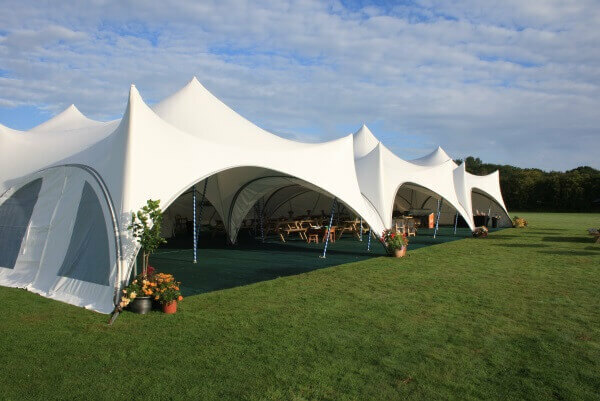 Can you supply catering marquees in Kent & East Sussex? Yes, we are able to supply catering marquees, with a range of different layout options to suit your wedding or special event. Can people smoke in your marquees? Due to current smoking laws, all of our marquees are non-smoking areas as there is insufficient open space to allow smoke to escape. Do you take a breakage deposit? Yes,we always take a breakage deposit when you book your marquee hire with us. Please contact us for more information, as the deposit depends on what you are hiring on the day. 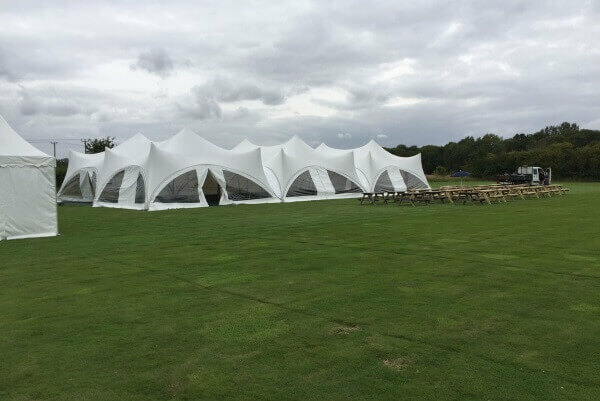 It is advisable that you take out insurance and particularly overnight security is paramount if the marquees and equipment will be left out overnight, e.g a 2 day event. Talk to us about your options for overnight security. The deposit will be 20% on booking your marquee, with the balance due 14 days before your event or wedding. Can you supply a DJ / Music / Disco for my wedding? Contact us to see how we can help with supplying a DJ, music and mobile disco for your wedding or special event.